At the moment Gorilla Glass is being used in many smartphones and there are many competitors when it comes to touchscreens, one of the main reasons for super tough glass is to eliminate scratches and of course being a lot tougher in case of knocks and impacts. Gorilla Glass is not going anywhere and in saying that we know it will get tougher over the next year or so, but now it is the turn for the sapphire-based glass touchscreens. This is where we want to hit on Apple vs Samsung to use Sapphire over Gorilla Glass first. 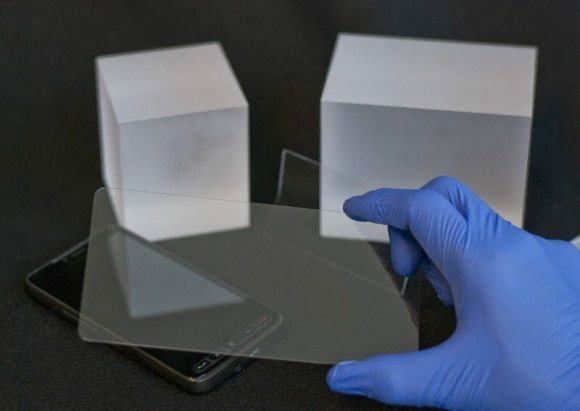 Gorilla Glass has been totally remade to be even stronger than before and will be around for some time, and at only $3 per display this is so much cheaper than Sapphire glass at $30 per display. In reality we know products get cheaper as time goes on and can see Sapphire glass going down to around $20 per display and even cheaper than that over time, we believe that consumers would like Sapphire Glass if it is more durable than Gorilla Glass, expensive phones need to be stronger than ever before. Sapphire Glass is used in vehicles in the military and if it is strong enough for them it will be darn sure strong enough for future smartphones. Sapphire glass is 3 times more resistant to scratches and 3 times harder to break than Gorilla Glass. The iPhone 5 camera has Sapphire Glass and now it is time to move from the camera lens to the whole display, but who will use full Sapphire Glass touchscreen display first — Apple or Samsung? Sapphire is made using a crystalline form of aluminum oxide, but even though the price to produce is very expensive (at the moment) it will be a whole lot cheaper when the competition use this material in many more devices, the more that use it the cheaper it get’s — simple analysis really. It all comes down to price really who decides to use Sapphire Glass first, Apple being the richer overall will be watching the price of the glass and when cheap enough they will be on the ball to use it in future Apple devices, but do not count Samsung out because so far they have been more innovative when it comes to smartphone features. However, can you really see Samsung using Sapphire Glass to cover both front and back of its smartphones considering they love the plastic? Why does it have to be apple or Samsung? Motorola will have their new stuff coming out this year and also like nice alternative materials.